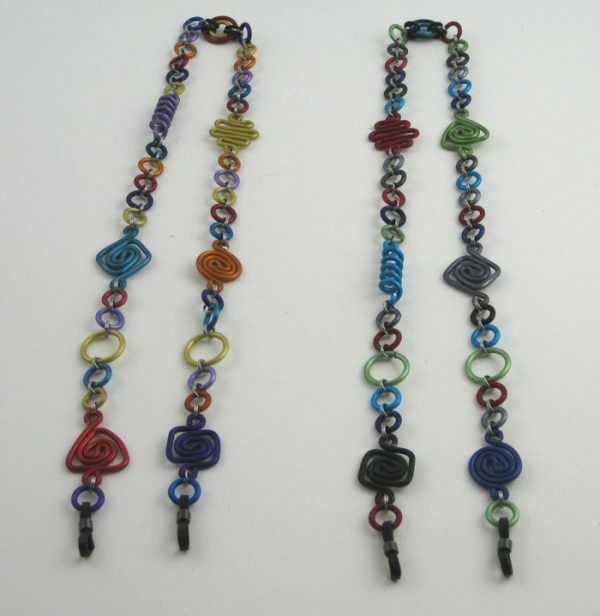 Eyeglass leash 27” long. 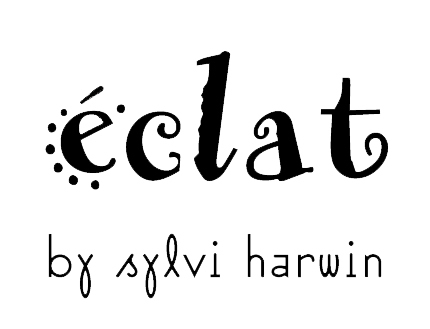 Shown in Marrakech & Cool. 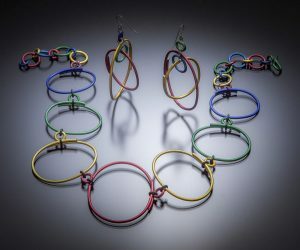 Asymmetric earrings in wire oval shapes 2 ½” long in 4 colors, shown in Primary. Shown with OVNP necklace. 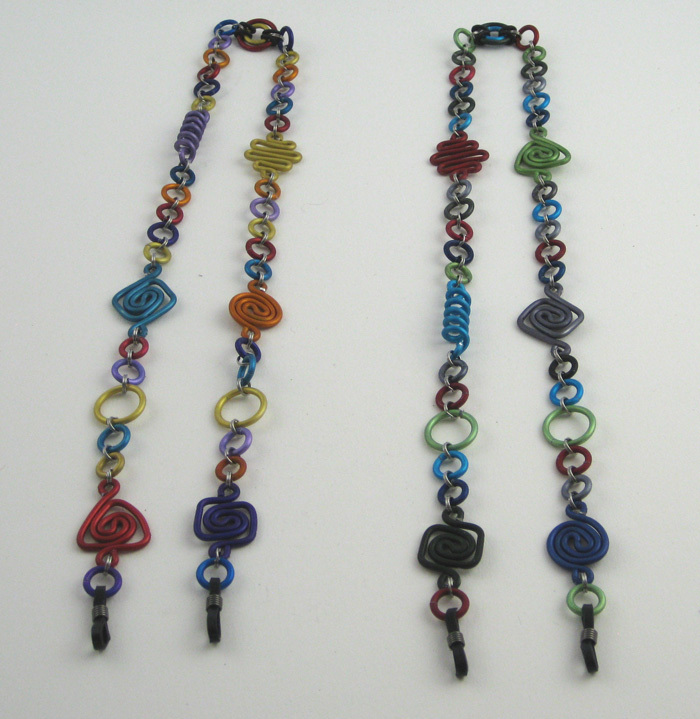 Wire earrings in 6 colors 1 ½” long, colors arranged differently on each side, shown in Primary (left) and Basic. 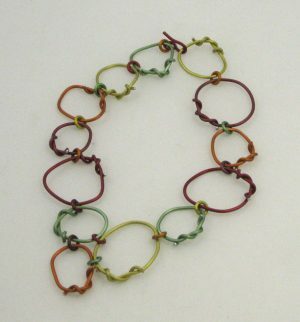 Necklace of knotted wire bib 20” long in 6 colors, pictured in New Sahara. 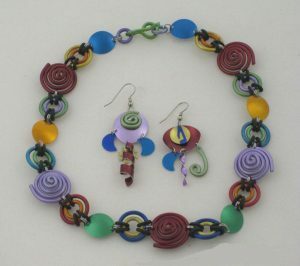 Necklace 18” long with raised “flower” swirls & hook closure, shown in Marrakech with AH5 earrings.